You can quit or change your plan at any time. We work with resellers! So if you're one, drop us a line at support@uxpressia.com. Can I change my billing plan later? Yes, you can! Upgrade or downgrade your account whenever you want. What if I change my mind and decide to quit? No one in the world will stop you. You are free to cancel your account at any time. But know that you’ll be sorely missed. By default, we’ll bill your credit card monthly. If you have something different in your mind, contact us and we’ll find the most suitable solution together. Are there any additional charges? Am I charged when I enter my credit card? Hanging out with UXPressia is free of any charges whatsoever. We only charge you for the paid subscription according to the plan you choose. We accept Visa, Visa Electron, MasterCard, and Amex. A custom plan you desire? Contact our team you must. Only by joining our forces the ideal solution found will be. 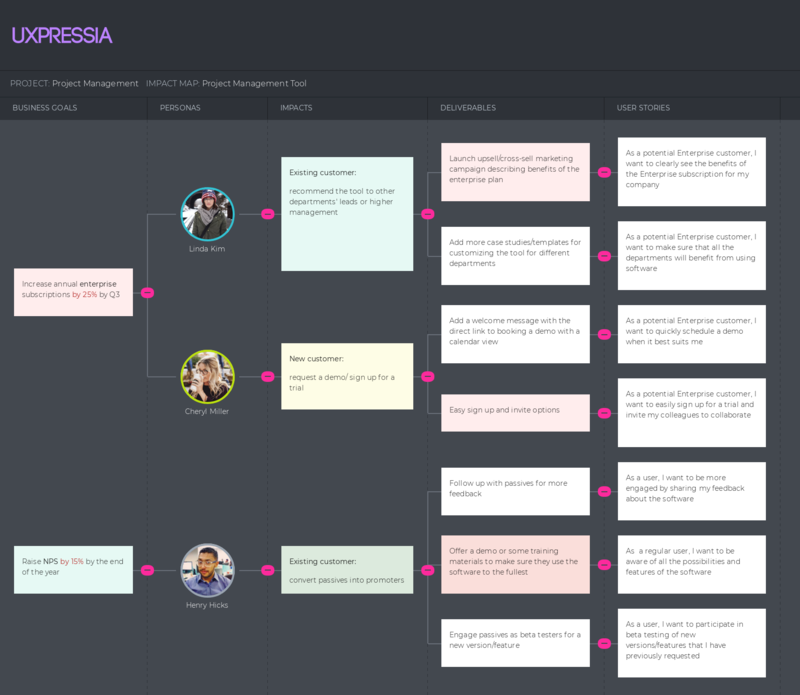 I want to test UXPressia before making a decision. Is there a free plan? Indeed there is! For $0/month, you can have one project with a single persona and CJM in it. You’re also free to share them with one person of your choice. However, high-resolution PDF exports, copying, and same-day email support are not available with free accounts. To cancel your account go to the workspaces page, choose the billing tab, and hit the “cancel subscription” button at the bottom of the page. That’s all, folks! I want to switch to PRO so I can export my maps and personas. Is there any way I can see what they look like once they are exported? Absolutely. Here’s a CJM PNG and PDF. And a persona PNG and PDF. And an IM PNG and PDF. 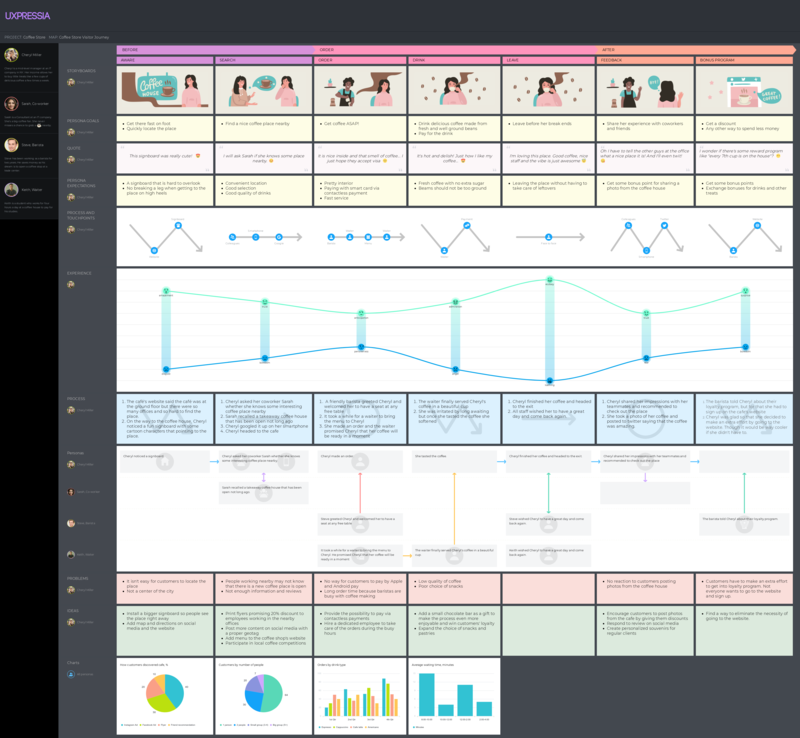 For the cherry on top, you can export a multiple persona view like that PNG and PDF. What is the billing currency at UXPressia? The prices for subscription plans are indicated in US dollars. Please check with the exchange rates set by your bank or card issuer when making international payments in your local currency.